For focused representation for a family law matter in Sacramento, California, people rely on The Law Offices of Dianne M. Fetzer. Since 2000, we have assisted people with divorce, including amicable resolutions and contentious cases. Our founding attorney, Dianne Fetzer, is a skilled litigator capable of handling complex scenarios. This includes cases involving businesses and high assets. Our law office also helps with other family law issues such as adoptions, child custody and visitation, child support, paternity, property division and spousal support. 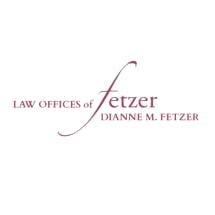 Ms. Fetzer is a certified specialist in family law as designated by the California Board of Legal Specialization. Among other associations, she is a member of the Family Law Section of The State Bar of California, Association of Certified Family Law Specialists, American Bar Association and National Association of Counsel for Children. She teaches classes for the Continuing Education of the Bar of the University of California and has served as a Judge Pro Term in Sacramento and Placer counties. Deeply dedicated to the community, Ms. Fetzer volunteers with the Sacramento Child Advocacy Panel as well as many local, charitable events. Because our firm focuses solely on dissolution of marriages and other family issues, we are able to provide efficient and knowledgeable representation to clients. The Law Offices of Dianne M. Fetzer invite prospective clients to arrange an initial consultation at our firm to discuss their cases. We work with spouses, parents and families across the counties of Sacramento, El Dorado and Placer, including the cities of Sacramento, El Dorado Hills, Folsom, Granite Bay, Rocklin, Roseville and Lincoln.